Built to MIL-STD 461E & 810F Standards. The R9604 can emit Conditioned 15 and 18-24 Volts, to feed external devices such as multiple Cameras and/or IR devices. -No need for expensive secondary Power Converters. Offers Reverse Scan (mirror Image) on the fly. TIME/DATE and FPS stamp on the receiving image displayed. Then, either record locally or externally via a TCP/IP connect. We implement one of the most advanced Power Supplies available. We can also supply Video, Power and Pan Tilt Zoom control combined in one cable for integration ease. Intelligent capabilities such as enhanced video motion detection, active tampering alarm and audio detection. Two configurable inputs/outputs per channel for connections to external devices such as sensors and relays, enabling the system to receive and respond to various alarms. Open Application Programming Interface (API) for software integration. 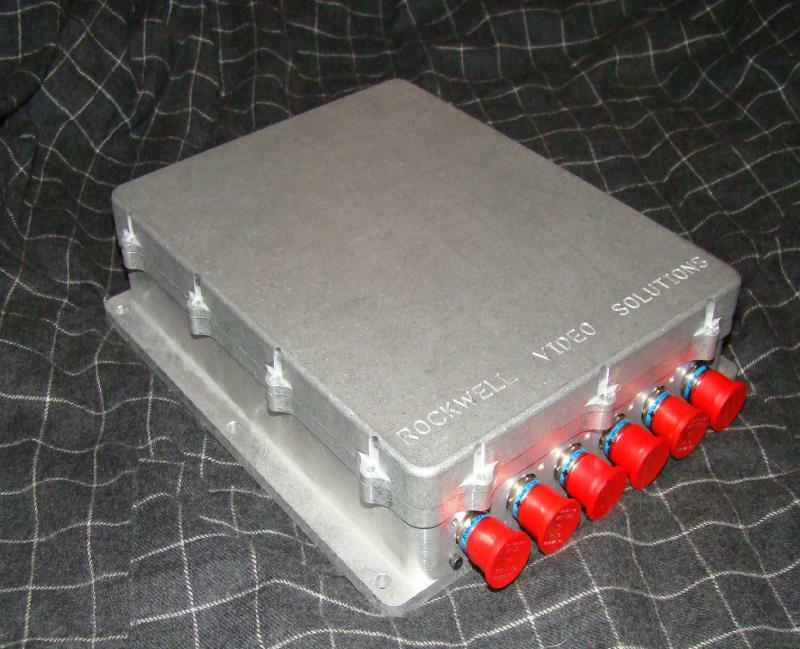 Rockwell Video offers various Military Ruggedized, MIL-STD Solutions. These solutions are currently deployed on a variety of Special Forces platforms that were designed and built to rigorous mission specific requirements to support the warfighter effort. These combat proven products have solved the objective of true situational awareness capability.